NICE and NHS England have unveiled very significant plans to change how new medicines are reviewed, including a fast track for the most cost-effective drugs – but also a built in affordability test. NICE and NHS England are emphasising that the plans would streamline and clarify the process, but the pharma industry will be very concerned that the measures simply give NHS England more ways to limit spending on new drugs. The two NHS organisations laid out their plans yesterday afternoon, having not previously indicated such a radical new set of proposals was coming. The plan includes four key new approaches: a fast track for new technologies which fall below the 10,000 per QALY (quality adjusted life year); a new ‘budget impact threshold’ and powers for NHS England to delay uptake of new medicines once approved by NICE if costly; a threshold of £100,000 per QALY for rare disease drugs, where there had been none before. The plans are now open to consultation, which will include the opportunity to attend webinars and face-to-face meetings, and will run until 13 January 2017. The new ‘fast track’ would mean NICE would produce ‘light touch’ decisions within 30 days rather than the current 90 days. However while this sounds appealing, very few significant new medicines come close to this £10,000 per QALY (quality adjusted life year) level, and therefore won’t stand to benefit. The second measure would be to introduce to the NICE process for the first time an explicit ‘budget impact threshold’. This would be set at £20 million, by NHS England, to signal the need for a dialogue with companies to agree special arrangements to better manage the introduction of new technologies recommended by NICE. This would apply to a small number of technologies that, once determined as cost-effective by NICE, would have a significant impact on the NHS budget. This proposal looks to be a clear response to recent cases such as the hepatitis C drugs. Treatments such as Gilead’s Sovaldi were judged to be ‘cost effective’ in NICE’s methodology, but NHS England pushed back against this ruling, arguing that it didn’t capture the actual budget impact or affordability for the NHS. The third core proposal is to ‘vary the timescale for the funding requirement’ – when NICE approves a drug, the NHS is currently obliged to implement its guidance within three months. NHS England want to allow this to be lengthened – something it already insisted upon when introducing the hepatitis C drugs, which it extended from the usual three months to six months. This rule would only kick in when the budget impact threshold is reached or exceeded, with NICE and NHS England saying this is necessary because there would be a “compelling case” that the new drug or other technology would risk disruption to the funding of other services. Many argued that NHS England overstepped its authority when it increased this implementation period for the hepatitis C drugs, and this proposal is aimed at legitimising this intervention. The fourth and final plank of the proposals would be to introduce a QALY threshold for drugs for rare and ultra rare conditions, known as highly specialised technologies. NICE and NHS England say they would automatically fund treatments for very rare conditions up to £100,000 per QALY (five times greater than the lower end of NICE’s standard threshold range), and provide the opportunity for treatments above this range to be considered through NHS England’s process for prioritising other highly specialised technologies. However it is immediately apparent that the ABPI will want to challenge these thresholds and methodologies. 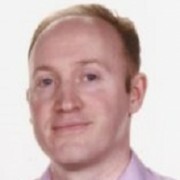 Mike Thompson, chief executive of the ABPI said the consultation included numerous proposals which would have a ‘significant impact’ on how medicines will reach UK patients. He said the ABPI looked forward to working with NICE and NHS England to ensure the thresholds are “set at the right levels” to allow fast access to these medicines. Thompson’s prepared response made further remarks about the UK’s market access system. The PPR price mechanism caps NHS spending, but is currently returning lower rebates than expected to the government. The major new plans also come ahead of the Department of Health-led Accelerated Access Review, which aimed to earmark funding and fast NHS uptake for the most promising new medicines. However NHS England is known to be cool on the AAR proposals; by launching plans for a major overhaul of market access ahead of this scheme, is clearly aiming to maintain control of budgets amid ever-worsening NHS finances. 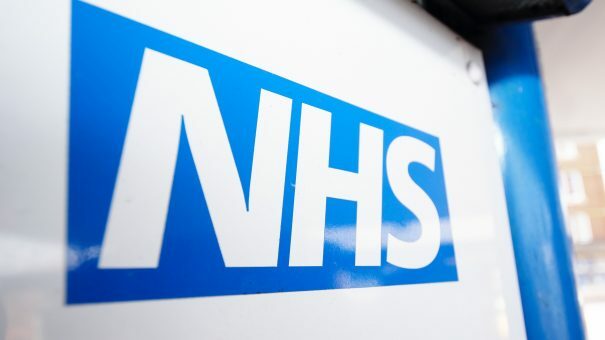 Earlier this year a report by the National Audit Office found growth in spending on specialised services presented an ‘ongoing risk to NHS financial stabiliity’ and NHS England has a statutory obligation to operate without a deficit. That’s bad news for patients eligible for new high cost drugs reaching the market. Two examples of ‘breakthrough’ drugs currently already struggling to gain market access are new lung cancer treatments, Merck’s Keytruda and BMS’ Opdivo, which NICE is currently refusing to recommend for routine NHS use.